Being a woman is never, and should never be, a barrier to success. 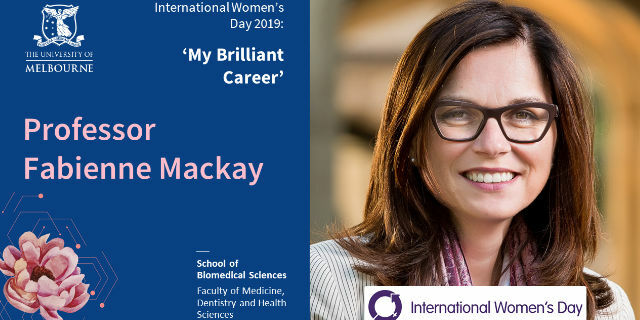 That is the message of Professor Fabienne Mackay, head of the School of Biomedical Sciences, University of Melbourne, as she prepares to host an International Women’s Day event next week. The panel discussion featuring six highly accomplished women in medical research, including Professor Kathryn North AC and Laureate Professor Ingrid Scheffer AO and Fellow of the Royal Society, will explore the challenges and advancements of women in biomedicine. Professor Mackay says gender balance in the workplace should reflect society, but biomedicine is suffering from current and past neglect in supporting women better. In fact, SBS data shows 438 more female students than males commenced a Bachelor of Biomedicine between 2010 and 2017, while 102 more female students than males went on to honours after graduating. With a son of her own, now 21, Professor Mackay understands the challenges women face in continuing career momentum in medical research, particularly when it comes to funding. After completing a PhD from Louis Pasteur University in Strasbourg, France, her research has made significant international contributions to the field of autoimmunity and oncology. Most notably, Professor Mackay’s award-winning work to find the causes of Lupus – a long-term autoimmune disease – resulted in the first new Lupus treatment in more than 50 years. “In Australia, we have this notion of relative to proximity, but it’s very subjective,” she says. To address gender balance in biomedicine ethically, in the case of funding, Professor Mackay is advocating for the introduction of a ranking system, as seen in parts of Europe. Scientists are ranked and separated into gender groups before grants are dispersed evenly between men and women. “With a points system, if you’re a mother you would receive extra points, which increases your chance of getting funding,” she explains. 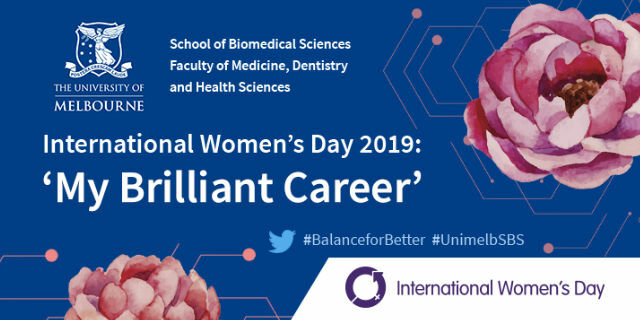 Hear more from Associate Professor Mackay and the panel of leading women in biomedicine in the International Women’s Day: My Brilliant Career podcast. Available from Friday afternoon, 8 March.